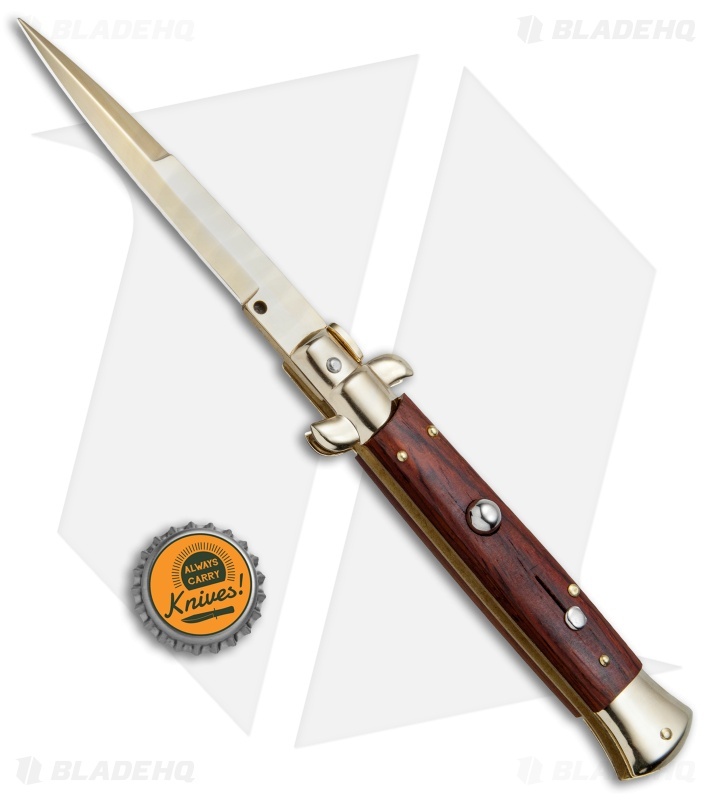 This 9" Italian Stiletto from Frank B. features classic stiletto style with a cocobolo wood handle and a gold finished bayonet blade. 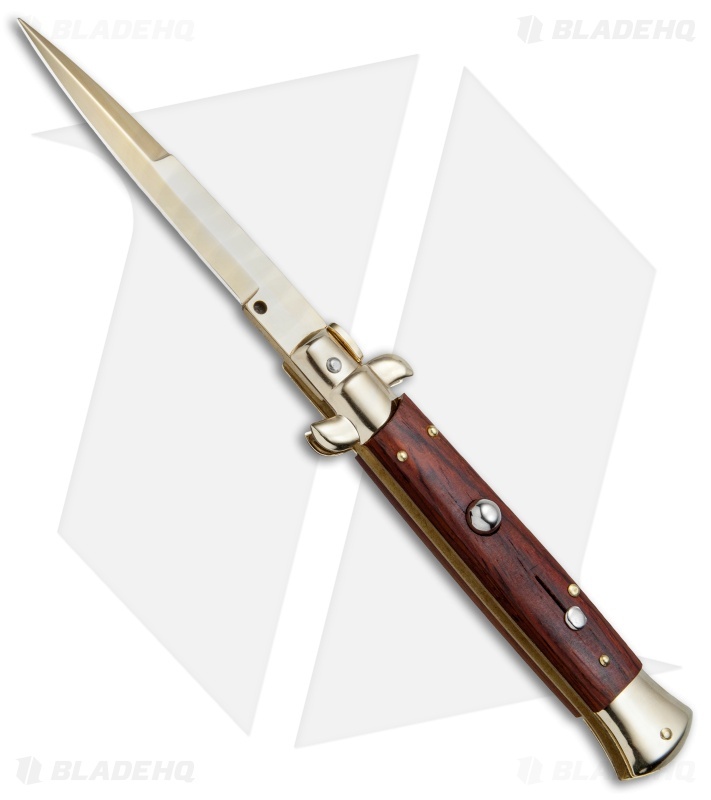 Frank B creates some of the finest authentic Italian stilettos available on the market today. 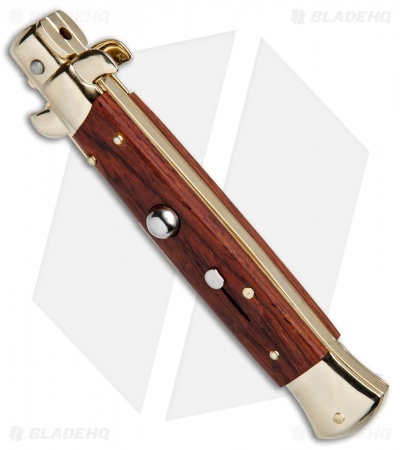 This 9" model has a cocobolo wood handle with gold plated bolsters. 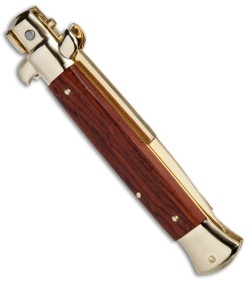 Brass pins and liners add a classic touch to the design. Add the premier Italian knife-maker to your collection today with an authentic Italian stiletto from Frank B.